When each of our daughters was born, I kept a daily journal that tracked my thoughts and feelings as I navigated the emotional journey of being a new mom. Years later as I read these journal entries I was somewhat surprised to see the pages full of what I fondly refer to as “mommy guilt.” It was clear throughout the entries that my biggest looming fear from the moment each was born was that I would have to leave them to return to work. I was so afraid that the separation would result in something bad—some emotional disconnect that would scar them—and me I suppose—for life. I have the privilege of mentoring many women in the workplace, and I’m struck with the universal challenges (real or perceived) that exist for new working moms. Some aren’t politically correct to talk about. After all, career women with big goals and aspirations aren’t supposed to admit struggles of any kind! Unfortunately, following that errant belief won’t help anyone be successful. 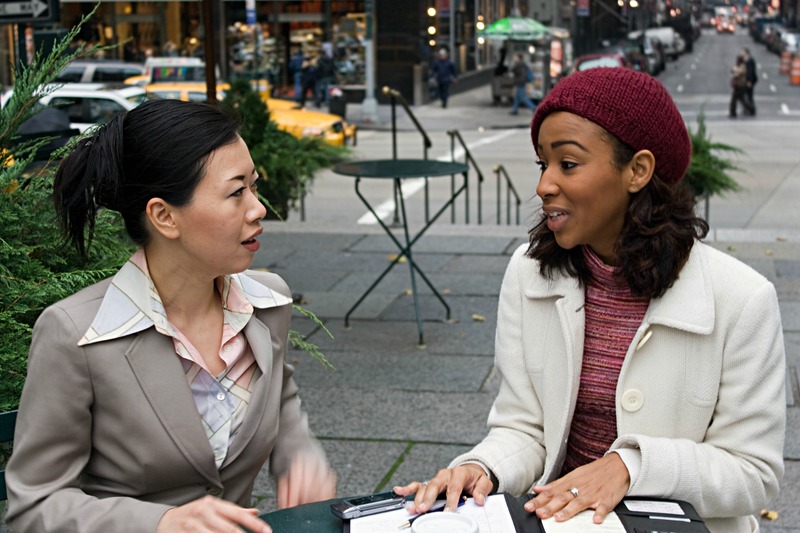 If you aspire to be a working mom mentor to a co-worker, direct report or friend, here are four tips that can have a profound impact on her ability to make the transition effectively. Provide a safe environment. The biggest form of support you can offer right now to a new mom is validation, encouragement, and permission to be real with you. Leaving a newborn and returning to work can be a profound emotional event. We don’t serve anyone by ignoring the impact on the new mom’s psyche and as a result, potentially on her job performance. Allow your mentee to talk about how transitioning back to work and away from her child is impacting her. Offer validation – she’s not alone in her fears, and she’s not crazy to be struggling with the emotional impact of separating from her child. Provide a safe environment where your mentee new mom can talk about her new fears and instinctual mommy guilt. Sometimes just talking about it will help the new mom understand the things she’s worried about probably aren’t things that actually are going to happen. Allow her to be real with you, then share the wisdom, insights and experiences that you learned as a new mom. It always helps to talk it out with someone more experienced, who understands. Support balance. The new mom is worried about the well being of her child and her ability to be successful in the workplace now that she has the new responsibilities of motherhood. If she’s particularly career-oriented, she is even struggling with her own struggle because she didn’t expect to feel this way! She likely won’t want to show any sign of what she considers “weakness” and she’ll attempt to figure the impact of being a new mom all on her own. Encourage the new mom to set boundaries and allow balance between work and family, without fear of losing professional ground. The more thoughtful and intentional she is about planning boundaries, the more successful she’ll actually be while at work and at home. Offer books or blogs that may help guide her planning, and make certain they’re available in audio version so she can listen on the way to work! Sometimes just hearing someone who has been successful say it’s OK to balance work and family is all the permission we need to look differently at our plan. Share your mommy hacks that have worked for you as a career woman. Let’s face it. Some bosses just aren’t good leaders and they may well see motherhood as a deterrent to success. Pretending this bias doesn’t exist won’t help the new mom be successful. One thing that added unnecessary stress to me was my perception of the importance of time physically spent in my workplace. Prior to being a mom, I definitely followed a “first in, last out” approach to being at work. I believed face-time was important and necessary to being promoted. I later learned that it was more important that I understood what was deemed important to the influencers in my career – my boss and my boss’s boss. Then, those were the behaviors I focused on so long as I could meet the demands without negatively impacting my family. I didn’t have the benefit of a mentor who could problem solve challenges like this with me. Because of that, I recognize what an honor it is to walk beside my mentee new moms and help them figure out creative ways to ensure success. Encourage the new mom to revisit her career goals now that she’s a mom. Yes, I know we’re not supposed to say that out loud! However, you simply can’t imagine what it’s like to be a mom until you are one. You can read books, listen to thought leaders, create a plan, set goals and have a strategy for success. The reality is, the second you hold that little one in your arms, you recognize that you had no idea how your life and your ability to love would change. Chances are, your mentee is in a mentor/mentee relationship because she’s been career-driven with pretty clear career goals and she was wise enough to seek the wisdom of a mentor. One of the best things you can do is encourage her to rethink everything now that she’s a new mom, for now. And then, regardless of whether her career goals stay the same or go through a considerable revision, encourage her to keep her goals written in pencil with an eraser close at hand. After all, motherhood is a journey and you can’t predict the path it will take. Dotty Bollinger is a devoted wife, mother to two daughters, Christ-follower and successful healthcare executive and consultant. She has written Women in the Marketplace: Finding Your Kingdom Purpose, and released her second book last fall, The Secret Sauce: A Recipe to Lead Well and Get Exceptional Results. 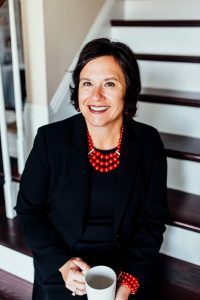 Dotty serves as CEO of Integrity Healthcare Advisors, LLC, a healthcare consultancy that provides services to a variety of healthcare practices in the areas of clinical and business operations strategy and execution. Read about her journey as a working mom, executive and author at DottyBollinger.com. Hi Dotty, I am also connected with thousands of work at home moms and understands about their troubles in work-life balance. She often surrounded by different kinds of guilt, like not giving much time to their kids, husband, and so on. And, as a working mom they actually understand about what exactly other working moms are going through. This tips will make encourage them help others and become an effective working mom mentor. Finding a balance is the most important thing, I agree with this post 100%! I think I will need to revisit my career goals soon as now I’m a stay at home mom, but I’m planning to start working again. Thak you for the post! Here are 5 Useful Tips for Working Mothers. Agree with you 100%. You need to find a balance. As for me, the best decision is a freelance job, for example, writer at https://eduzaurus.com/buy-research-paper, because you can work wherever you want and where you want.